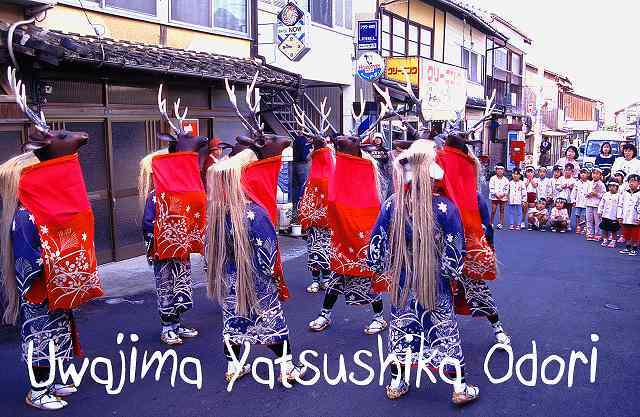 The autumn festival of Uwatsuhiko shrine features a parade of grotesque demon bull (Ushioni) and cute eight deer (Yatsushika) around Uwajima town. 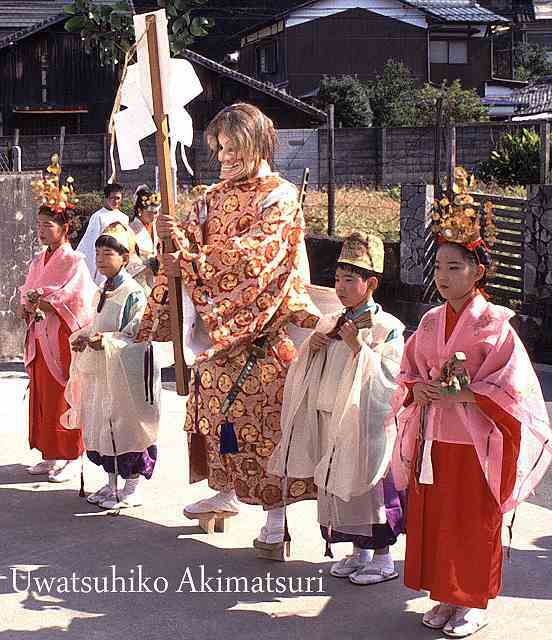 Ushioni is a unique talisman figure popular in southern Ehime. 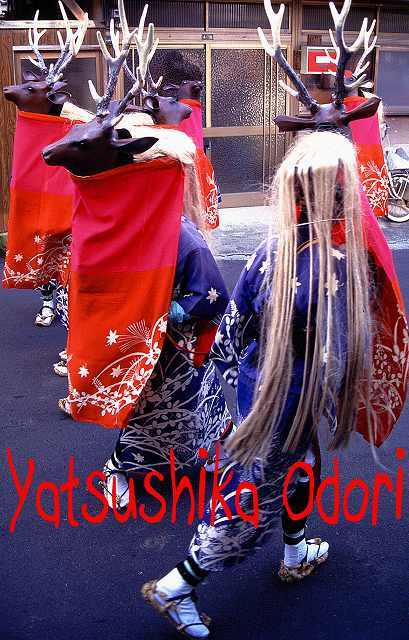 A float of Ushioni has a gigantic basketwork body as long as five meters covered with red cloth. It is shouldered by scores of young men. 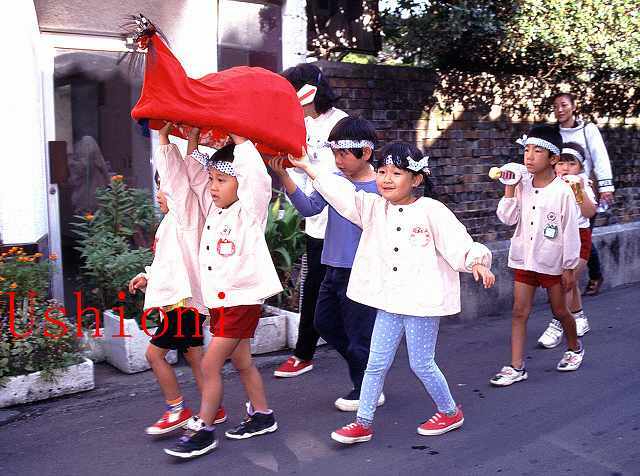 Neighbourhood youngsters and kindergarten children carry mini floats of Ushioni. 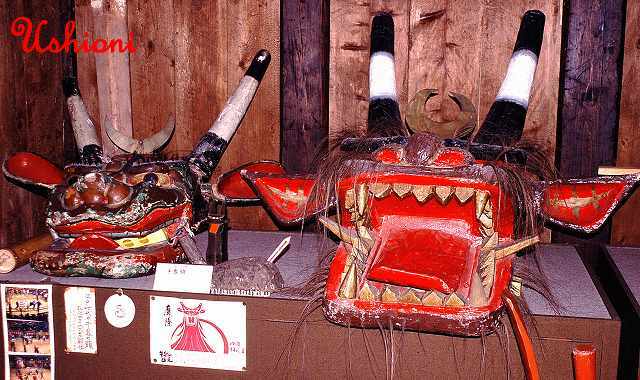 Ushioni is originated from a bull headed demon in the hell (Gozu oni). According to a legend it appeared in the mountains and made a lot of troubles to the villagers. 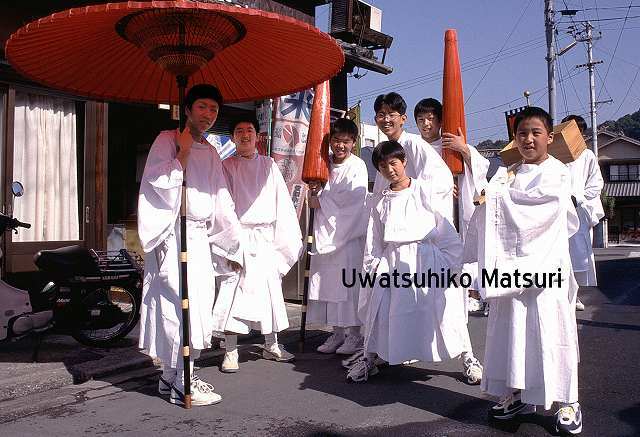 But the legend turned to be different in Uwajima and Ushioni began to serve as a herald of mikoshi by exorcising an evil spirit before journey. 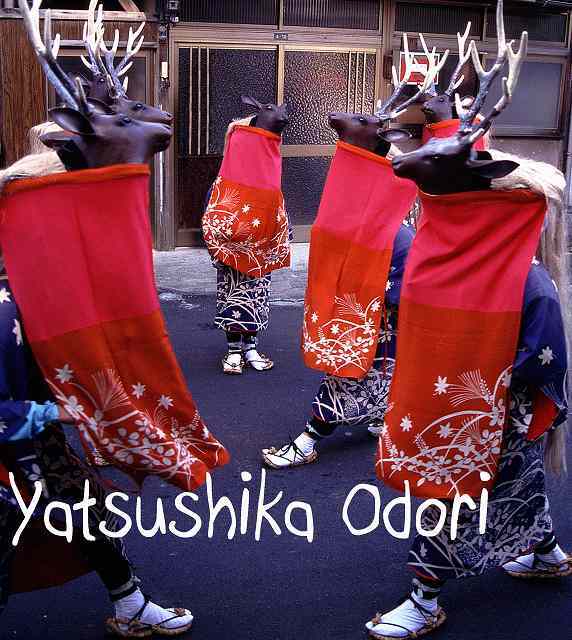 Deer dance is seen everywhere in Ehime but eight deer dance is unique to Uwajima. 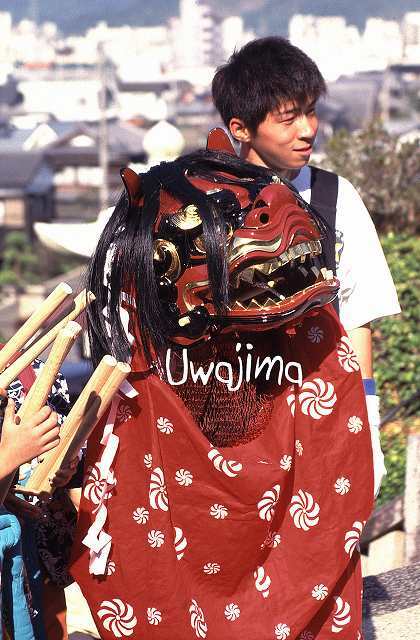 The number was cut to five in 1857 but recovered to eight in 1922 when Emperor Showa visited Uwajima. 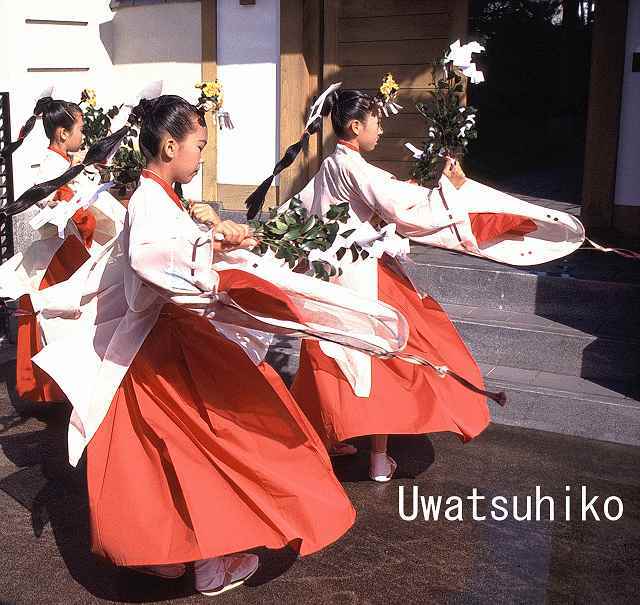 The Yatsushika Odori is also known as “Dendeko” from the sound of drum. 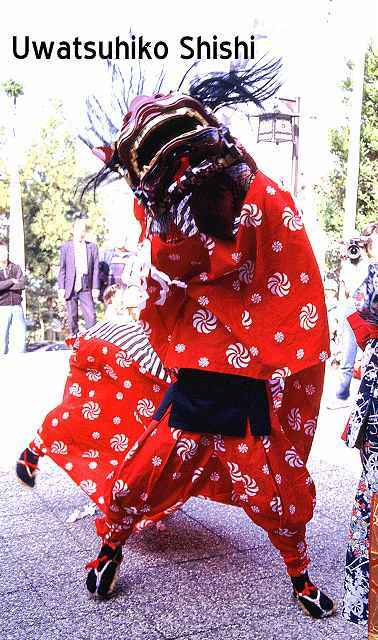 This elegant and plaintive dance is said to have been brought here from Sendai by the first Date lord 350 years ago. 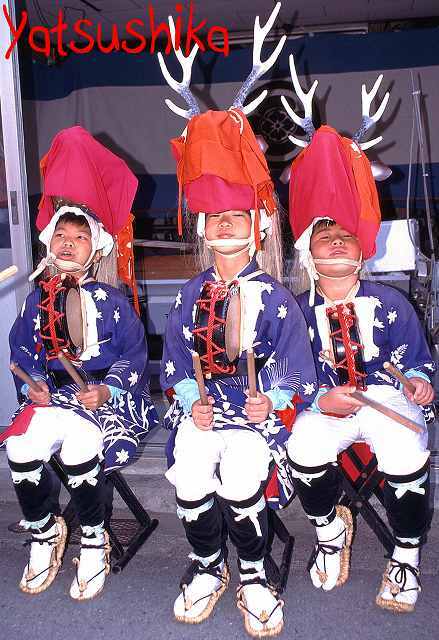 Each year eight boys at the age of 12-13 dressed in distinctive red-and-blue costume perform the ancient ritual of half-dance and half-mime. Of eight deer, seven are males who try to win the love of the one female who finally chooses one of the bucks. 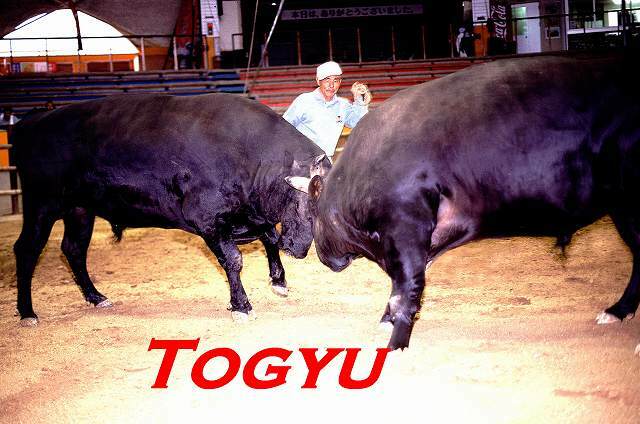 Japanese bullfight (togyu) is much like sumo. Bull wrestlers push their opponent out of the ring. The bulls lock horns and heave their massive frames against each other. Hai! Hai! The trainer (seko) encourages the bulls by draping over bull’s necks until one literally bulls the other from the ring or until one takes to its legs. Outside the ring the bulls themselves are quite docile. Actually they are too docile that the trainers need to stimulate them by feeding row eggs to make them vigorous. 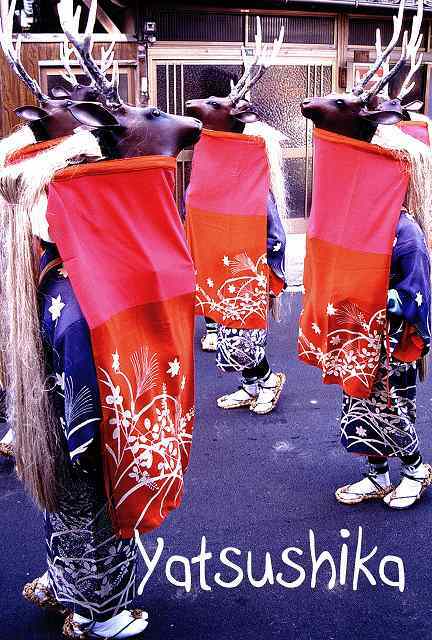 There are several areas in Japan where the bullfight is maintained still now. 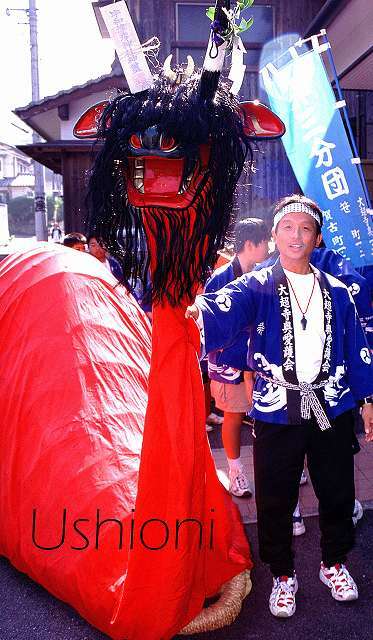 In the Oki Islands the bullfight is said to have started when the Emperor Gotoba (1180-1239) was exiled to the islands and the locals wanted to console the Emperor by the bullfight. It was hard and bitter time to the Emperor. He was crowned with a crown of thorns. After the sudden death of Minamoto no Yoritomo (1199) the struggle between the Emperor and Kamakura Shogunate was increasingly tense. The Emperor Gotoba rose up against the Kamakura Shogunate but his attempt resulted in failure.. 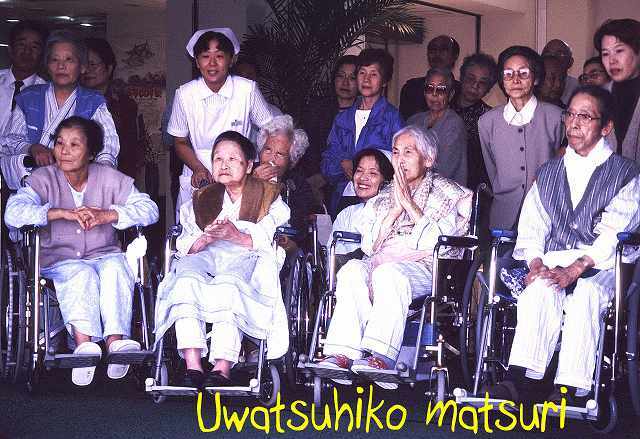 He had to stay in Oki for nineteen years until his death. The Emperor Gotoba was an excellent player of kemari, an outstanding poet, and a master of Japanese lute (biwa).